Arthrography is medical imaging used to diagnose and evaluate joint conditions and unexplained pain. It can be very effective at detecting disease within the ligaments, tendons and cartilage. It may be indirect, where contrast material is injected into the bloodstream, or direct, where contrast material is injected into the joint. Arthrography may use computed tomography (CT) scanning, magnetic resonance imaging (MRI) or fluoroscopy. Arthrography is a form of medical imaging to evaluate conditions of joints. It can either be direct or indirect. In Indirect arthrography contrast material is injected into the blood stream and eventually absorbs into the joint. With direct arthrography, the contrast material is injected directly into the joint. Direct arthrography is the recommended method because it is better for distending or enlarging the joint and imaging small internal structures, allowing for better evaluation of diseases or conditions within the joint. Generally, direct arthrography is only performed if a non-arthrographic exam is felt to be inadequate in assessing a joint abnormality. Conventional direct arthrography of a joint often uses a form of x-ray called fluoroscopy to guide and evaluate the injection of iodine contrast material directly into the joint. In some cases, ultrasound may be used to guide the procedure. Alternate methods of direct arthrography examinations may also use magnetic resonance imaging (MRI) or computed tomography (CT) following contrast material injection into the joint. Fluoroscopy makes it possible to see bones, joints and internal organs in motion. When iodine contrast is injected into the joint, it fills the joint and becomes visible during x-ray evaluation, allowing the radiologist to assess the anatomy and function of the joint. Although the injection is usually monitored by fluoroscopy, the examination also commonly involves taking X-Rays. Similarly, direct MR arthrography also involves injecting contrast material into the joint. The contrast material used for MR evaluation is different from that used for x-ray; it contains gadolinium; this affects the local magnetic field within the joint. Just like in conventional direct arthrography, the contrast material outlines the structures within the joint, such as cartilage, ligaments and bones, and allows them to be evaluated by the radiologist after the MR images are produced. MRI uses a powerful magnetic field, radio pulses and a computer to produce detailed pictures of organs, soft tissues, bone and virtually all other internal body structures. The images can then be viewed on a computer monitor and stored electronically. There is no radiation exposure from MRI. 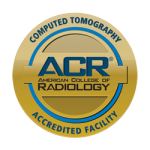 CT direct arthrography uses the same type of contrast material as conventional direct arthrography and may be supplemented by air to produce a double contrast CT arthrogram. CT generates cross sectional images processed by a computer using x-rays. 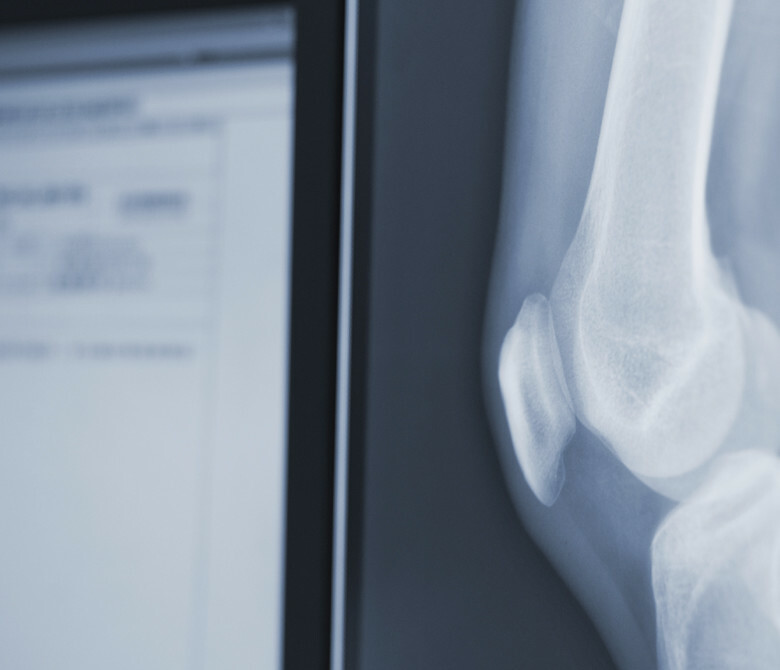 Arthrographic images help physicians evaluate any abnormalities in the structure and function of a joint and help to determine the possible need for treatment, including arthroscopy, open surgery or joint replacement. This type of procedure is also used to help diagnose unexplained joint pain or discomfort. In some cases, local anesthetic medications or steroids may be injected into the joint along with the contrast material. These medications may temporarily decrease joint-related pain or inflammation. You should inform your physician of any medications you are taking and if you have any kidney problems or allergies, especially to iodinated or gadolinium-based contrast materials. Also, inform your doctor about recent illnesses, medical conditions and if there is a possibility your are pregnant. Some MRI examinations may require the patient to receive an injection of contrast into the bloodstream. Some of this contrast material can be absorbed into the joint resulting in an indirect arthrogram. The radiologist or technologist may ask if you have asthma, or allergies of any kind, such as allergy to iodine or x-ray contrast material, drugs, food, or environmental agents. However, the contrast material used for an MRI exam, called gadolinium, does not contain iodine and is less likely to cause side effects or an allergic reaction. The radiologist should also know if you have any health problems or if you have recently had surgery. Some conditions, such as severe kidney disease, may prevent you from being given contrast material for an MRI. Generally, metal objects used in orthopedic surgery pose no risk during MRI. However, a recently placed artificial joint may require the use of another imaging procedure. If there is any question or you are unsure of their presence, an x-ray may be taken to detect and identify any metal objects. Patients who might have metal objects in certain parts of their bodies may also require an x-ray prior to an MRI. You should notify the technologist or radiologist of any shrapnel, bullets, or other pieces of metal which may be present in your body due to prior accidents. Foreign bodies near and especially lodged in the eyes are particularly important. Dyes used in tattoos may contain iron and could heat up during MRI, but this is rarely a problem. Tooth fillings and braces usually are not affected by the magnetic field, but they may distort images of the facial area or brain, so you should inform the radiologist or technologist of them. You may be asked to wear a gown during the exam. The patient is positioned on the examination table. X-rays of the joint may be taken prior to the procedure to help in guiding the injection and also to provide a baseline exam to be compared later with the arthrogram images. If recent x-rays are available, the radiologist may choose to use these for reference. The area around the joint is cleansed with antiseptic and is covered with a sterile surgical drape. Using a small needle, the radiologist injects local anesthetic into the area being treated. When the local anesthetic has taken effect, a longer needle is then inserted into the joint. The radiologist will often use fluoroscopy or ultrasound to guide the needle into the correct position. Sometimes a syringe will be used to drain (or aspirate) the joint fluid, which may be sent to a laboratory for analysis. Aspiration is typically performed when an infection is suspected. You will feel a slight pinprick and may feel a momentary burning if a local anesthesia is used to numb the joint area. You may feel pressure or even pain when the needle is advanced into the joint. Inform the radiologist performing the procedure if you have pain so more local anesthetic can be injected into the area. It is normal for the area of your body being imaged to feel slightly warm, but if you are uncomfortable, notify the radiologist or technologist. It is important that you remain perfectly still while the images are being obtained, which is typically only a few seconds to a few minutes at a time. You will know when images are being recorded because you will hear and feel loud tapping or thumping type sound when the coils that generate the radiofrequency pulses are activated. We provide earplugs to reduce the intensity of the sounds made by the MRI machine. You will be able to relax between imaging sequences, but will be asked to stay in the same position without movement as much as possible. You will usually be alone in the exam room during the MRI procedure, however, the technologist can see, hear and speak with you at all times using a two-way intercom. If intravenous contrast material is needed in your case, the intravenous needle may cause you some discomfort when it is inserted and you may experience some bruising. There is also a very small chance of irritation of your skin at the site of the IV tube insertion. Some patients may sense a temporary metallic taste in their mouth after the contrast injection. You may resume your usual activities and normal diet immediately after the exam unless you required sedation. On very rare occasions, a few patients experience side effects from the contrast material, including nausea and local pain. Similarly, patients are very rarely allergic to the contrast material and experience hives, itchy eyes or other reactions. If you experience allergic symptoms, notify the technologist. 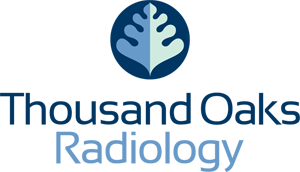 A radiologist or other physician will be available for immediate assistance. Vigorous exercise is not recommended for at least 24 hours after the exam. A radiologist, a physician specifically trained to supervise and interpret radiology examinations, will analyze the images send an electronic/fax report to your referring physician, who will discuss the results with you. Direct arthrography is particularly effective for detecting disease of the structures within the joints such as ligaments, tendons, and cartilage. There is always the possibility of injuring a vessel or a nerve adjacent to the joint. Injury to these structures, however, is minimal.